CHI Memorial Center for Healthy Aging announces the addition of Deborah Ballard, FNP-BC, to its staff. Ms. Ballard received her nursing degree from Emory University in Atlanta, and her master’s in nursing from the University of Tennessee at Chattanooga. 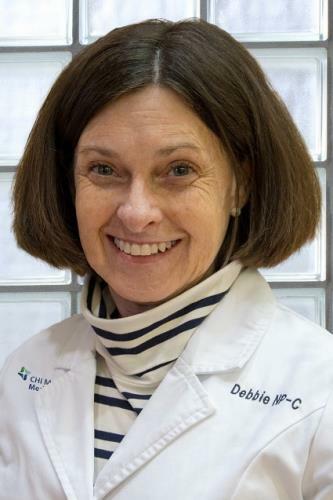 She is board certified by the American Association of Nurse Practitioners. Officials said, "CHI Memorial Center for Healthy Aging specializes in geriatric medicine providing quality health care that helps adults remain healthy and active as they age. Providers focus on managing and treating complex age-related conditions including memory loss, fall and balance issues, and dementia-related behavioral problems, as well as primary care and social services to offer support to the whole family and provide access to community resources at the appropriate time." Ms. Ballard joins Alycia Cleinman, M.D., medical director, at CHI Memorial Center for Healthy Aging. The practice has two locations. The Boynton office is located at Boynton Terrace Apartments, next to the community room, 957 Boynton Dr., Chattanooga, Tn. 37402. All local residents age 65 and up are welcome. Office hours at this location are 8 a.m.-3 p.m. on Tuesday and Thursday. The Chattanooga office is located on the CHI Memorial Hospital Chattanooga campus, Memorial Missionary Ridge Medical Tower, 725 Glenwood Dr., Suite E-786, Chattanooga, Tn. 37404. Office hours at this location are 7:30 a.m.-4:30 p.m. Monday - Friday. Dr. Cleinman is currently accepting new patients age 55 and up.